The easiest way to learn about directors and officers liability insurance. The Beginner’s Guide to D&O takes a look at the personal risk exposures of directors and officers, and explains how directors and officers liability insurance can be used to protect them. 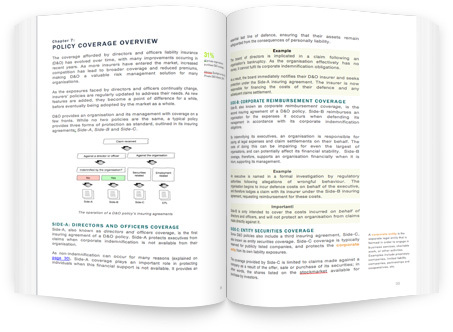 Written in simple and informative language, it is the perfect resource for every insurance, legal and risk management professional. In short, if you don’t fully understand what D&O insurance is all about, but want to… you’re in the right place. D&O is an interesting and challenging insurance coverage, responsible for protecting management executives all around the world. It provides support in times of difficulty and allows an organisation’s leaders to sleep easy, knowing that they will be safe when times get tough. However, it’s also incredibly complex. The policies themselves are typically large and cumbersome, full of intertwining clauses and foreign terminology. I remember taking my first look at one. Intimidating to say the least. But how can you learn about this mysterious coverage? When I started out, I looked around for a book to read or a course to take. I didn’t have hundreds of dollars for an overpriced seminar. Do you think I could find something? Not a chance. So I learnt through my own experience while working with some of the best brokers and underwriters in the market. As I arranged coverage for my clients, I recorded everything I discovered. Before too long I had all the essential information needed to advise on and arrange, a comprehensive D&O insurance policy. I began to think that if I had had come up against this learning curve, then others must as well. I put in countless hours of research to ensure that my little black book had everything an upcoming professional would need to get started with D&O insurance. Inadvertently, I’d created a convenient and cost effective solution to learn the ropes. The Beginner’s Guide to D&O was born! 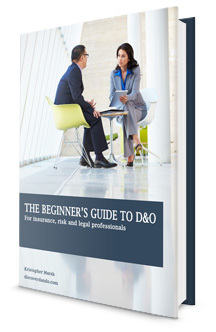 The Beginner’s Guide to D&O has been developed for the modern risk management professional. It uses simple language to explain the intricacies of this exciting and diverse coverage. Over 18 chapters, The Beginner’s Guide to D&O dives into everything you need to know when starting out. Who are directors and officers and what do they do? What risk exposures do they face? How can they be protected? How do the insuring agreements of a D&O policy work? What’s covered and what’s excluded? How are should claims be notified and how are they handled? What do underwriters consider when assessing D&O risk? And more! Click here to view the entire table of contents. The Beginner’s Guide to D&O provides you with all the tools you need to be the best version of yourself and move ahead with your career. The managers of the some of the largest and most exciting companies around need advisors they can trust. Why shouldn’t it be you? 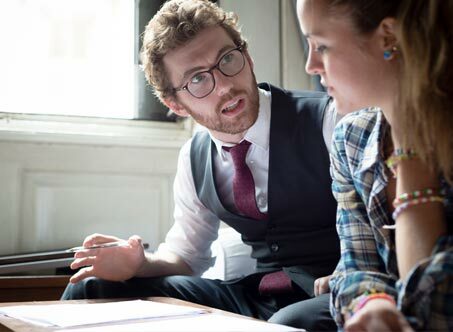 Professionals with D&O experience are constantly in demand. Use your expertise to grow your client base and leverage yourself into a higher paying job. Don’t spend hundreds of dollars on an overpriced seminar. The Beginners Guide to D&O is convenient and cost effective. Executive protection is a global phenomenon. Being one of the few professionals who truly understand D&O exposures could be your passport to the world. A flexible education solution within a simple PDF file. Perfect for reading on any PC, laptop, iPad or smartphone. If you’d prefer something in your hands, print it out. Above all, I want you to be happy with your purchase. If you’re not completely satisfied with The Beginner’s Guide to D&O, I’ll refund your money up to 30 days from the date of purchase. No questions asked. Hi, I’m Kristopher Marsh, an insurance and risk management professional from Melbourne, Australia. I started my career as a broker, advising a diverse range of commercial, corporate and non-profit clients. I now operate as an in-house risk manager for a large multinational business in Cologne, Germany. The Beginner’s Guide to D&O is my way of making a difference by sharing important, life-changing information, to those who need it. Thank you for visiting Discover D&O and taking an interest in The Beginner’s Guide to D&O. In my opinion, understanding D&O insurance is an important pillar of knowledge for every risk management professional, and at some stage or another will prove to be invaluable. D&O risk exposures are personal and they touch just about everyone. That’s what makes D&O insurance so special! Copyright © 2019 Discover D&O. All rights reserved.